A goal is a future achievement with a timely deadline you can work towards to. 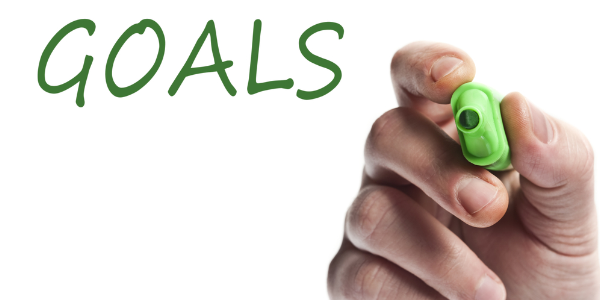 Goals are important as they help you on your way in creating the life that you desire. If done right, goal setting will motivate you to take the necessary action to achieve the results you are after, and to grow as a human being. These are the five goals of goal setting. Your goals should be a representation of your deepest desires. The things that drive you in life, both in business and in the personal realm. This way goals will motivate you to jump out of bed every morning, to take charge in changing your world. We all have limited resources, and clear goals help you to focus on those things that matter most to you. This is especially true for our most precious resource -namely our time- since every minute lost can never be regained. What we spend our time on, should reflect our goals accordingly. Goals can help you measure progress. Especially when you have formulated them in a SMART way. They allow you to track how far you have come and give clarity on where you need to go. So you know which actions you should take to make them reality. My definition of a hero is an ordinary person doing extraordinary things. Goals help you achieve your highest potential. Without clear goals, you subject yourself to the natural, default set of actions that keep you feel safe and comfortable every day. But remember that outside your comfort zone is where all the magic happens. So go out and set some amazing goals for 2016, Marketing Superhero!